Henning Sehmsdorf had a lifelong dream to be a farmer. Growing up in economically distressed post-war Germany in a large family, he and his siblings survived by growing food in a sizable home garden and by gleaning surrounding fields in exchange for food. Later in high school, he participated in “harvesting vacations,” where groups of schoolchildren worked the fields and the farmer delivered produce to the school cafeteria in return. As a young man he moved to the U.S., first earning a PhD and teaching at the University of Washington before a trip to Lopez Island brought him back to his dream of farming. Starting with 10 acres in 1970, Henning began to build the infrastructure of the farm while he continued to work at UW. Henning became a full-time farmer in 1994. He joined Washington State University as an adjunct professor at the Center for Sustaining Agriculture and Natural Resources in 1999. He serves on numerous boards and committees related to sustainable agriculture, farming, land stewardship and education. Henning chairs the Future Farm Council which meets monthly to review projects, work plans and budgets to transition the farm to community ownership. Since 2012, Henning has been a Mentor Farmer under the apprenticeship program offered by the Biodynamic Farming Association (www.biodynamics.com/napbdap). Elizabeth Simpson grew up on a farm in Hood River, Oregon and was always involved with gardening, canning, freezing and making jam. 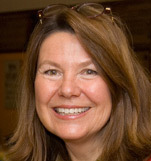 She received her bachelor’s and master’s degrees from the University of Oregon and her Ph.D. from the University of Washington, where she later taught and met Henning. In 1994 when Henning’s youngest child left home for college, Henning and Elizabeth decided to make the switch to full-time farming. Research and education continues to be an integral part of her life. In addition to farming, Elizabeth teaches English and sustainable farming classes as a part-time faculty member at Lopez High School. Elizabeth serves as a member of the Future Farm Council. Johann Sehmsdorf, who runs S&S Woodworks, combines a science degree in wildlife biology with formal training in cabinet making in Germany, as well as many years of practical experience in woodworking in the US. 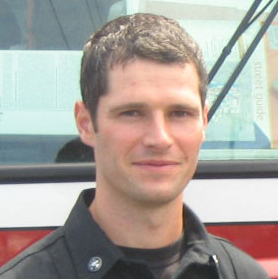 When not on the farm, he serves as a firefighter in Bellevue, WA. Johann is a member of the Future Farm Council. Evelyn Oostenburg, the 98-year old mother of Elizabeth, has been living on the farm for over ten years. “Mother,” as she is known on the farm, taught geography in secondary school and college until hearing loss and eventually the onset of Alzheimer’s dementia cut short her lifelong passion for teaching. Her presence on S&S Homestead affirms Rudolf Steiner’s call for farms to provide support for the whole community, including the young and the old, and people with special needs. 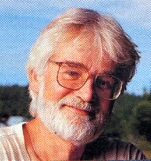 Roy Ozanne (M.D., 1975, H.M.D., 1998) began his career as an allopathic physician and ecologist at the University of Wisconsin. Postgraduate studies in health lead him to study homeopathic medicine in Belgium, and he practices homeopathy on Whidbey Island today. He was the co-founder and medical director on Sandhill School of Healing Arts (1980-1993), and Cress Spring Farm Yoga Health Retreat (1996-2001). In 2007, he started Whole Health Programs and began participating in health-related workshops at S&S Center for Sustainable Agriculture. Roy serves on the Future Farm Council. Roy will take up residence on S&S Homedtead Farm in June, 2016. Janet Lia has been teaching art and Bio-Dynamic Gardening to all ages for over 20 years. 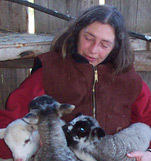 After finishing a 2-year training in Bio-Dynamic Agriculture in Scandinavia, Janet completed her B.A. with public teaching credentials (K-12, endorsements in Visual Arts and Agriculture). She continued her post graduate education, earning certificates inWaldorf Education, Figure and Portrait Drawing and Painting, and a 2-year Fine Arts Program. Janet lives with her family in Seattle where she teaches art in her studio, AWE Studio (Art With Everyone, www.janetlia.com). She also teaches at local schools, art centers, and as a Waldorf Teacher Trainer. With this background, Janet leads artistic activities contributing to the various biodynamic themes of annual workshops on the farm. 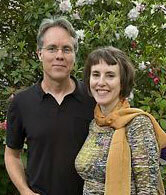 Together with his wife, Janet, Barry Lia has been practicing biodynamic husbandry ontheir urban homestead in Seattle for nearly 20 years, and they have led workshops introducing biodynamics locally in many venues. He completed a 2-year training in biodynamic agriculture with Dr. Andrew Lorand. 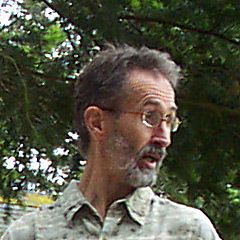 Barry coordinates the Washington Biodynamic Group and works and consults on local biodynamic farms. As a member of the Section for Agriculture at the Goetheanum, he participates in biodynamic research. He is practicing the picture-forming method, capillary dynamolysis, and Goethe’s scientific methodology. Barry holds a Ph.D. in neurobiology and works as a clinical technologist at UW Medical Center. He helps plan and presents at annual workshops on the farm and serves on the Future Farm Council to explore the farm’s transition to community ownership. Michele Heller and her husband, Steve, own Heller Family Farm on Lopez Island where they grow certified organic greens, berries, fruits and vegetables. Michele, who holds a bachelor of fine arts degree in interior design from University of Washington, has been involved in environmentally sensitive low-impact projects in the San Juan Islands. 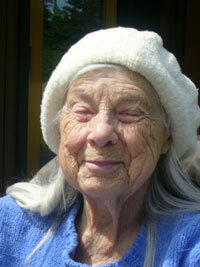 Her long established interest in alternative health and wellness, and her keen awareness of the importance of sustaining life for all future well-being and the need to lessen our ecological footprint, led her to found Lopez Locavores which started with the idea of serving communal Evening Meals at the Lopez School (Link), and to become a major supporter of The Lopez Island Farm Education (LIFE) program which began as a collaborative, community effort involving the Lopez Community Land Trust (LCLT), the Lopez Island School District (LISD), the Lopez Island Family Resource Center, Lopez Island Education Foundation (LIEF), S & S Center for Sustainable Agriculture, San Juan County Conservation District, WSU Extension, and the Heller Family Foundation. On the farm, Michele serves as a member of the Future Farm Council.